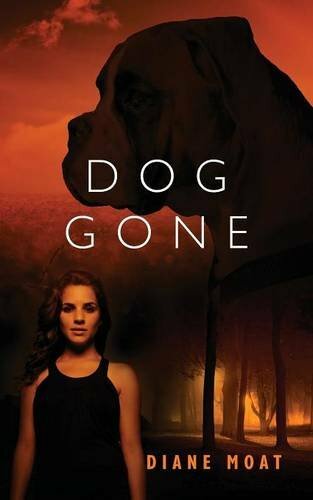 “Dog Gone” is a captivating tale by Diane Moat. The day that Samantha Holden finds the tortured dead body of a dog left in the woods, she sets off on a mission to find out who is responsible. In order to do so, she has to engage in some secretive activities. Some of these activities also involve helping the police catch other animal abusers, even if the help comes from illegally obtained information. To do what she has to, Sam enlists the aid of an old gangster, a recluse who spends her day on social media, and a man who helps her fence items she obtains illegally. The money received from fencing goes toward paying to support her cause, including those who help her and the local animal shelter. Sam’s secretive activities keep her from being able to truly bond with Daniel, a kind man who loves her. As time passes, she finally has to let him in and in doing so puts his life in danger. But Sam will not rest until she completes her mission. As she gets closer to the truth, everything gets more complicated. For Sam to move on with her life and her relationship, she must solve this mystery. When everything finally comes to a head, the conclusion is pretty explosive. Fortunately, Sam has people in her life that can help make sure the case is closed forever. As a person very involved with helping all animals, it was hard to read about the brutality inflicted upon the poor creatures in “Dog Gone” by Diane Moat. The reality of abuse like this hits too close to home. As a result, I fully appreciate the author’s use of creative writing to craft situations where evil abusers have to suffer for their actions. I can totally understand the protagonist’s viewpoint. Her sweet boyfriend and the colorful characters that help her with her activities help soften the intensity and round out the story. I hope that there are future stories in the works for this cast of characters. Maybe Sam can give up KFC, become a vegan, and go after the abuses in factory farming!